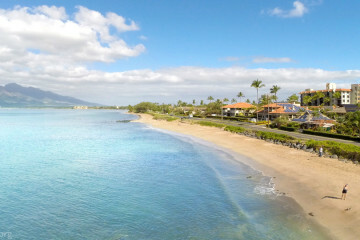 Here are some of our favorite Panoramic Photos from the central Maui area of Maalaea and its surrounding areas. Here are a group of photos of Maalaea Harbor, which is one of the main reasons to visit Maalaea. We visit the Maui Ocean Center on a monthly basis. The shark tank along is worth the trip! Not many visitors visit the Estuary. Walking the trail on a nice day is a lot of fun. You can see straight across to Kihei and Wailea from Maalaea Harbor. This pod of whales was captures by Natalie Brown on a gorgeous day just off the coast of Maalaea. Our friends at Hawaiian Paddle Sports managed to get mugged by whales on a beautiful day. One of our favorite boats is the Pride of Maui for sunset cruises, snorkeling, and whale watches. They also offer snuba diving! Nothing beats a sunset on the water. This one was tame, and yet it still dropped jaws. Maalaea is in the center of this image. To the left is Lahaina and to the right is Kihei. Maalaea Harbor is pretty great and can accommodate most boats. The owner of this parked their boats inside its boat. But, we’re sure Maalaea is where they went to get ashore. The water around Maalaea is ultra-shallow and beautiful. We were lucky enough to enjoy a beautiful sunrise along the Pali.